Buy “The Trout” print and I’ll donate 5% to Trout Unlimited and 5% to Casting for Recovery. Visit SHOP FOR ART for details. Subscribe to chigirie.com to receive updates about sales, classes, and events. Chigirie is the Japanese art of tearing paper to create a collage. More than 20 years ago, I began my journey with Japanese paper craft following a month-long trip to Japan. My first stop along my path to creative bliss was Origami and that’s when I quit my day job and set up my business, Mrs. Matsui’s Origami (handmade paper creations). 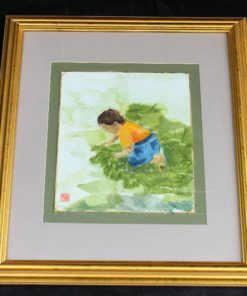 Nearly 20 years ago, Chigirie.com was one of the premier sites on the web to offer original Japanese torn paper collage art. Offers to teach this traditional art form led me to share my craft with schools, senior and community centers. Folks of all ages delighted in trying their hands at creating collages using finely-crafted handmade paper as the medium. 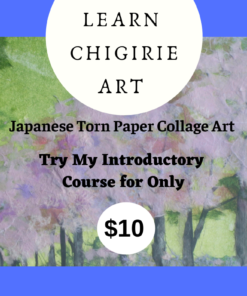 Chigiriе iѕ thе Japanese art of tearing paper to create a collage or literally, “painting with paper.” Imagine creating beautiful paintings without paint or a paintbrush. That’s one of the reasons I fell in love with Chigirie. 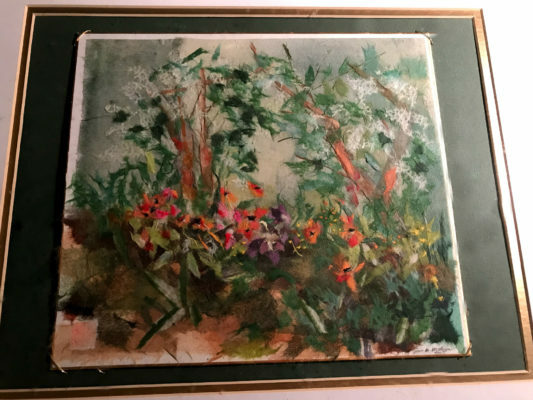 I could count on the inherent beauty of handmade papers to create art that resembles a watercolor or oil painting. The technique is said to date as far back as the Heian period of Japanese history by calligraphers who often used it accompany their decorative handwriting. 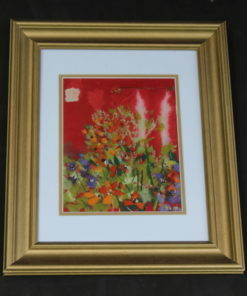 Each piece is a one-of-a-kind handmade work of art that contains hundreds of pieces of hand-dyed paper. 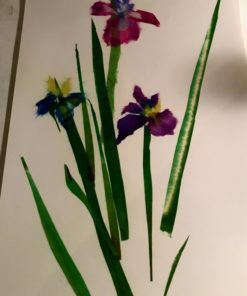 Some artists color the paper using a variety of painting techniques but I do not. I rely solely on the color and texture to create backgrounds and fine details like architectural elements or flower petals. Finding the perfect handmade paper is essential for the creation of Chigirie. 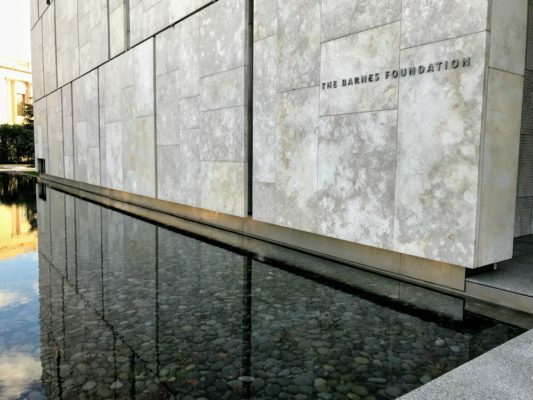 Allow me to guide you through the process as you learn to plan your design, choose the paper and “seamlessly” apply it to the decorative surface of your choice. I’m sure you’ll feel like a kid in a candy store when you see the abundance of paper available in today’s marketplace. Do you want to learn Chigirie? You’ll find chigirie.com is a personalized, creative atmosphere where you can learn and create at your own pace with full artistic support for as long as you need guidance. Classes begin soon! Please message me with any questions. 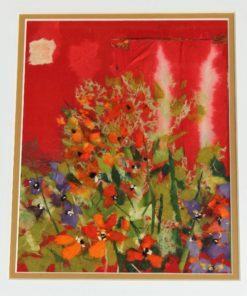 What do I love about Japanese paper collage? 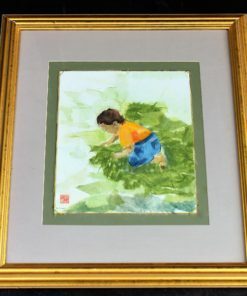 While I greatly admire anyone who can paint with watercolors, oils and acrylic mediums, I haven’t found a genre I enjoy more than “painting with paper.” Supplies are minimal and non-caustic, with no messy chemicals or paint soaked brushes to clean. Chigirie is a timeless art, deeply rooted in the traditions of Japanese art and culture. If you have a desire to learn to create gorgeous, watercolor-like collages, look no further. Use the contact form on the sidebar to pre-register for my upcoming classes. Be sure to let me know if you’re interested in beginner, intermediate or advanced classes and if you’ve ever practiced Chigirie. You’ll find an online art gallery, where you can buy framed art, Japanese-inspired gifts, and classes that will inspire you to learn at your own pace. Once you learn the fundamentals of Japanese collage art, I can bet you’ll lose yourself as you create your own signature pieces. Thanks for stopping by my site and I hope you’ll be among the first visitors who sign up for my newsletter.